This is a photograph taken 2 years after the initial design and finished construction of a garden by HCL – it not only shows how the planting scheme selected has matured as planned but it shows the high standards of our HCL maintenance service. 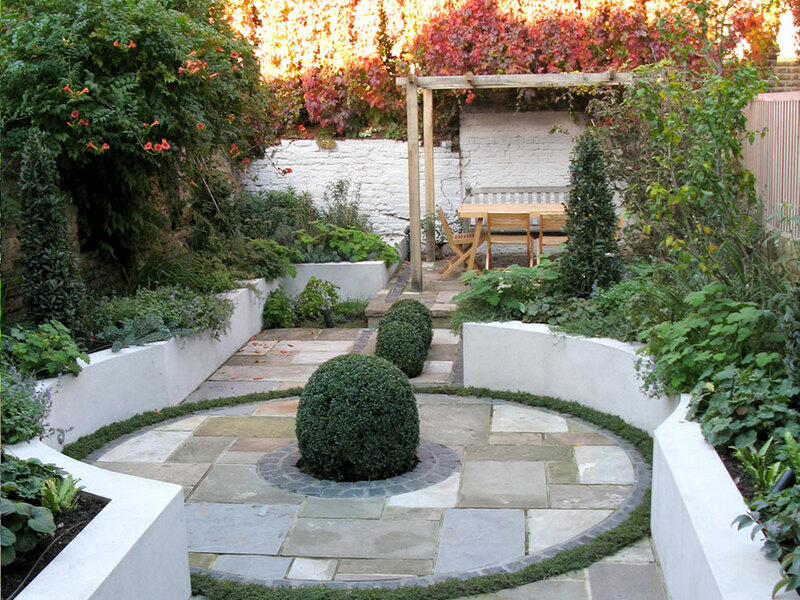 This is a photograph of the same garden taken soon after the completion of the garden in the Autumn. Our maintenance teams are highly trained and qualified in all aspect of garden care and horticulture. A typical maintenance package wouldn't just include the care and feeding of plants but would include all elements from lawn care, such as scarification, aeration and feeding programmes, to the maintenance of existing irrigation systems, the cleaning of channel drains, changing of light bulbs and general lighting maintenance. In fact any aspect to do with the up keep of your garden can be dealt with by HCL to the highest of standards. We work together with clients to set up proposals to outline what should be in the garden through the entire calendar year. We try to be as flexible as possible by not insisting on formalised contracts which allow our clients to cut back on sessions during certain times of year and just when money is needed to be spent elsewhere. Mathew and his team's enthusiasm and dedication to the gardens they maintain has resulted in some excellent feedback from clients and industries leading designers.